Nancy used Penguin In Summer 02 for her DT work. 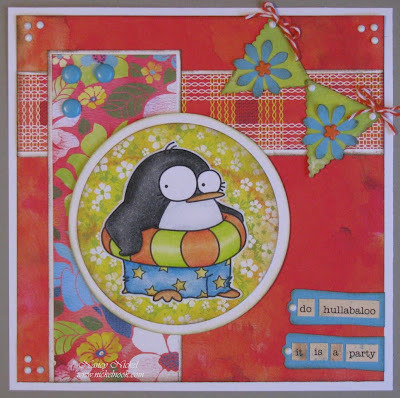 The fun sketch is from a brand-new challenge blog, A Die For A Sketch, where she is a DT member. I was glad that she chose my digital stamp for such a great opportunity! The papers she used are bright and cheerful, these are perfect for a 'summer' themed card. Please visit her blog and leave some love for her!